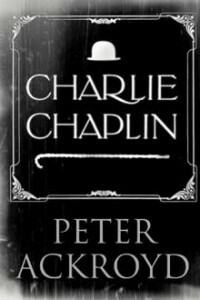 Peter Ackroyd’s compact new life of Charlie Chaplin opens magnificently in the heart of south London in the last decade of the 19th century. This is a London rife with the “suspect pleasures” of gin and music halls; a London crammed with factories making biscuits, glue and pickles; a London of timber warehouses and slaughterhouses; a London reeking of smoke, beer and poverty. Young Chaplin’s existence in this world was never stable. No birth or baptismal certificates relating to him have ever been found. He was not even certain of the identity of his biological father, taking the name of a successful music hall singer who was, for a spell, married to his mother – herself a music hall artiste and later a mender of old clothes. Chaplin’s childhood was perilous and often frightening, with disturbances and deprivation to rival Oliver Twist. Frequent flits from a series of rented rooms with a mattress on his back were a fact of his boyhood. There were periods spent in the Southwark workhouse, nights sleeping rough with his half-brother Sydney, a time at a school for the destitute. His mother’s mental illnesses meant that she was in and out of asylums and there was little interest from his “father”. John Doubleday, who made a sculpture of Chaplin a few years after the actor’s death in 1977, said he retained all his life the “undeveloped thorax of an underfed child”. In Charlie Chaplin, Ackroyd makes it clear that humiliating childhood sensations relating to poverty and his mother’s madness stayed with Chaplin. These things and the psychological defences he employed against them perhaps explain his constant need for power and control, his terror of losing everything and even his brutal affairs of the heart that do him no credit at all. “To gauge the morals of our family by commonplace standards would be as erroneous as putting a thermometer in boiling water,” Chaplin wrote in his 1964 autobiography. Hmmm. Yet Chaplin’s boyhood sufferings were also inextricably linked to his monumental success. His ability to transform his early experience of hopelessness into a universal symbol is, for Ackroyd, the mark of his genius. Chaplin’s journey from the London theatres smelling of “oranges and beer, of unwashed bodies and tobacco” to the moving picture industry was relatively swift. From a stage clog dancer, he progressed to the part of cat in Cinderella at the Hippodrome. His big break was the role of page in a celebrated West End production of Sherlock Holmes. From Holmes he graduated to Wal Pink’s Workmen in Repairs, a sketch in which a firm of rogue decorators called Spoiler and Messit worked their slapstick magic on a defenceless suburban villa. After this Chaplin moved to Casey’s Circus, a variety show. It was here that he discovered that the more serious he appeared, the funnier he became.